Surrounded by “isn’t it awful”, “the world is going to the dogs” types? 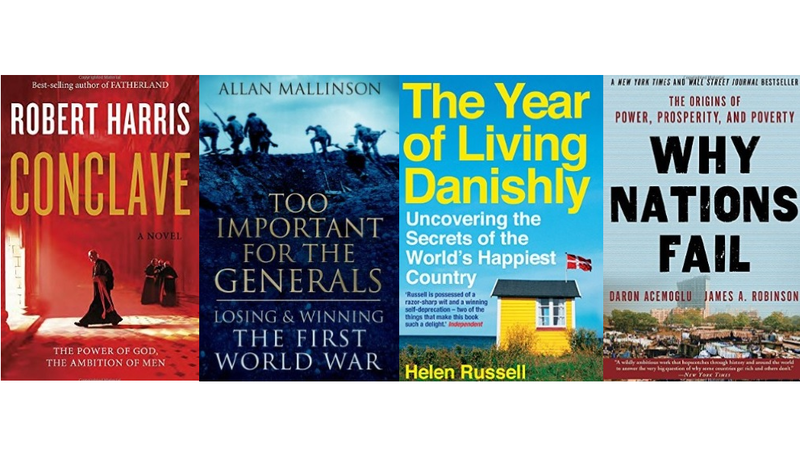 Here are two antidotes: Nobel laureate Angus Deaton’s The Great Escape: Health, Wealth and the Origins of Inequality and Johan Norberg’s Progress: Ten Reasons to Look Forward to the Future. Both document the immense progress made in the past three hundred years by large parts of the world on multiple fronts – not just in living standards, but also in health, longevity, literacy, freedom, peace and global equality. 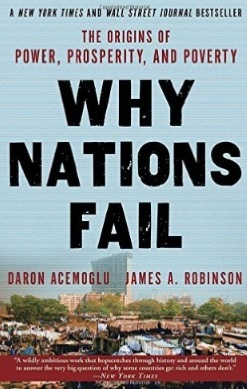 Deaton’s book in particular will remind you that a prime reason many poor countries have missed out is political: they are kleptocrat tyrannies (another reminder, if you haven’t yet, to read Acemoglu and Robinson’s Why Nations Fail), which is one of the reasons why Deaton is critical of foreign aid (it keeps the Mugabes going). He’s got better ideas on how to help them, including making trade with the developed world easier. And Norberg is full of interesting facts, including that “285,000 more people have gained access to safe water every day for the past 25 years”, and that 2,000 more people will have escaped from poverty in the time it takes you to read his first chapter. I didn’t profit from George Lakey’s recent Viking Economics: How the Scandinavians Got It Right – and How We Can, Too. It’s as if he went on a Seventies demo, fell asleep mid-chant – “The workers! United! Will never be..” – and woke up yesterday. And while good ideas on economic policy can and should come from anywhere and anyone, sociology isn’t where I’d go looking first. It doesn’t help that the “we” in the title is “the US”, not “everyone”, which means that when he compares Nordic health systems with America’s, they’re better, but then, whose isn’t? So it’s hard to draw conclusions about Nordic implications for everyone else. I’m pretty sure there are some good Scandinavian ideas we could pirate (particularly the Danish ‘flexicurity’ of jobs, and possibly the Finns’ education ideas), but I wouldn’t use this book as the instruction manual. 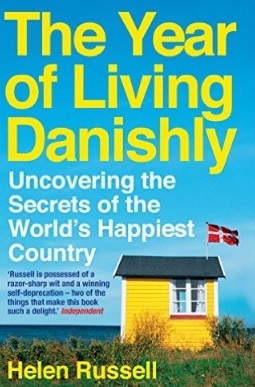 If you did want a good guide, try Helen Russell’s The Year of Living Danishly: Uncovering the secrets of the world’s happiest country. Great armchair travel from a very good freelance writer. One interesting fact is that by international standards Denmark is a high trust society – you can, and they do, leave your baby in the pram outside the restaurant – which is one reason they tolerate the government taking 54.6% of GDP: they trust their representatives to do the right thing with it. More than I could say about any recent New Zealand (or Aussie, British or Irish, let alone American) governments. Speaking of Aussies, we don’t get enough mainstream media coverage of their politics other than at moments of high drama (though there have been a fair few of those recently). I liked Annabel Crabb’s Stop at Nothing: The Life and Adventures of Malcolm Turnbull: concise, punchy, well-informed. The back jacket summarises Turnbull as “colourful, aggressive, humorous and ruthless” in his pre-politics days, and looks at whether he’s changed much since: not a lot, I’d say. He’s also a good deal more interesting as a person than I’d imagined: it may not help his liberal-trapped-in-a-conservative-party day job much, but he’d make a good addition to most pub quiz teams. Timothy Garton Ash’s The File: A personal history is the story of what he finds when he reads the file the East German Stasi security service kept on him. He comes to a relatively generous conclusion about the 2% of the East German population who were informers for the Stasi – “What you find, here in the files, is how deeply our conduct is influenced by our circumstances…What you find is less malice than human weakness…when you talk to those involved, what you find is less deliberate dishonesty than our almost infinite capacity for self-deception” – without losing sight of the big point: “Yet the sum of all their actions was a great evil”. University of Wolverhampton professor Gary Sheffield has come out with Douglas Haig: From the Somme to Victory, an updated and revised version of his earlier (2011) The Chief: Douglas Haig and the British Army. It’s a balanced account that gives Haig more credit than he usually gets, and particularly on the logistical side of running an enormous enterprise. As Sheffield notes (pp154-5), at its peak the British army in France had to feed 2,700,000 men: “To keep one division in the field for one day required ‘nearly 200 tons dead weight of supplies’, and Haig’s army consisted of more than 60 divisions”. Haig as chief executive comes out well; Haig as general, somewhat well, though I haven’t been entirely shifted from the “lions led by donkeys” camp. You could argue that Haig’s “one last push and we’ll break though into open country” was indeed finally vindicated, but too many people died to get there. Then again, it’s also hard to shake the thought that, with the technologies of the day, there was little alternative to an attritional strategy, however appalling the casualties became. 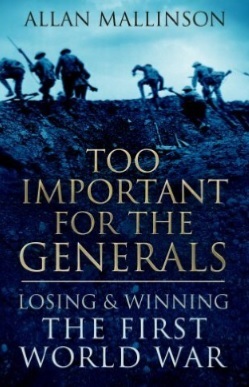 Military historian Allan Mallinson doesn’t like the “lions led by donkeys” line (it’s “facile”), but in his Too Important for the Generals: Losing and Winning the First World War he’s not impressed by the generals’ strategic grip: “nothing can acquit the high command of its failure to see beyond no-man’s-land [on the Western Front] and its embrace of the ‘strategy of attrition” (p330). He also believes that the politicians should have taken a stronger hold of the overall direction of the war, and in particular gone for more flanking initiatives (like a better run Dardanelles operation) as well as boosting support for Russia and Serbia, rather than letting Russia slide into revolution and Serbia lose to Austria. All of which reflects the still unsettled scholarship on the Great War: you no sooner read one book suggesting the generals were doing as well as they could than the next suggests the opposite. In brief: anything Robert Harris turns his hand to (the life of Cicero; a dystopian world where Hitler won) is highly readable. 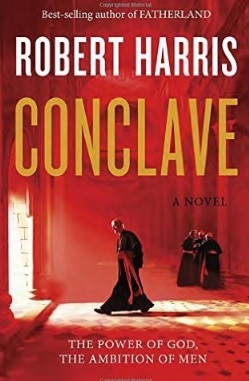 You’ll like Conclave, which (natch) is about a papal election. Carl Hiaasen’s written a series of high-paced comic novels about Florida bizarrenesses: his latest, Razor Girl, is right up with the rest of them. And if you like private eye novels set back in the Roman Empire – and let’s face it, who wouldn’t – you’ve probably worked your way through Lindsey Davis’ Falco and Flavia Albia series and John Maddox Roberts’ SPQR series, but don’t miss the equally good Russo ones by Ruth Downie. I’ve just finished the latest, the fifth in the series, Vita Brevis. Boston must be the setting for more good thrillers per square mile than anywhere on the planet, the latest being Michael Harvey’s Brighton (a Boston locality) where a Pulitzer prize winning journalist who’d escaped the poor Catholic Irish ‘burb comes back to help his teenage friend, who is suspected of several murders. The blurb on the cover says “riveting and elegiac”, and it is: fine writing. Harvey’s also got a series about a Chicago based private eye, Michael Kelly: I’ve read the fifth of them, The Governor’s Wife, which was also very good. I think we all know just what book is *everybody’s* favourite economics book of 2016: http://tinyurl.com/z2gtcxm !! !